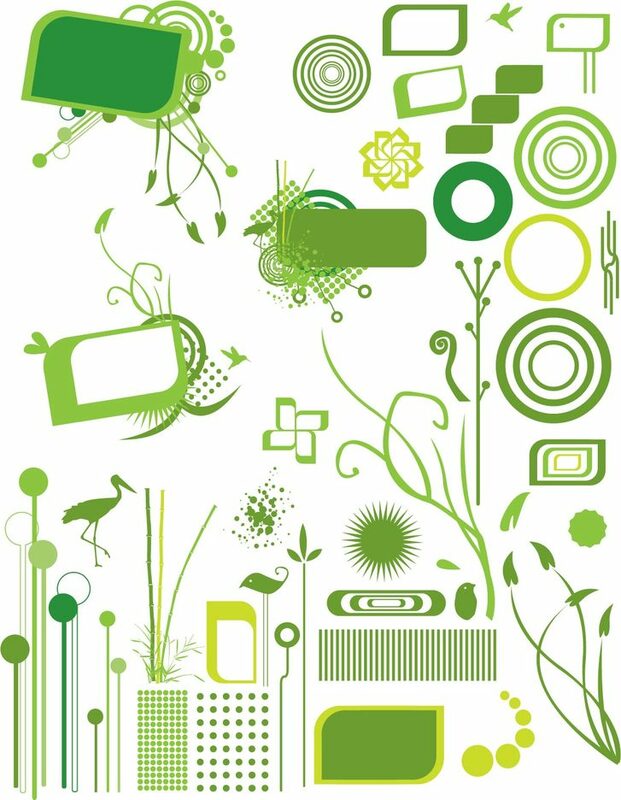 Well this is really my first official post since I have been back and I'm excited about my"go green" free organic vector set. Maybe the title is deceiving but these design elements are a lot of fun to play around with. The free organic vector set includes actual ready to use designs along with all the elements used to build each completed item.